This week LegiSource continues its series on the statutory committees that oversee the legislative staff agencies. Last week, the series looked at the Legislative Council. This week, we review the history and duties of the Audit Committee. By the 1960s, the Colorado General Assembly, like many other state legislatures, was starting to consider ways to increase the efficiency and effectiveness of state government. To that end, they created a legislative interim study committee that met each interim starting in 1961 and continuing through the early 1970s. Each year, the committee took up different aspects of state government to study. By the end of the legislative interim, they published a report, which usually included findings and recommendations for constitutional and statutory changes. In the legislative interim of 1963, one of the study topics was the state auditing function. At that time, the State Auditor was a constitutional officer in the executive branch elected to a four-year term. The constitution prohibited both the state treasurer and the state auditor from running for consecutive terms, so it sometimes worked out that the same two persons would swap offices at each election. The State Auditor’s only constitutional duty in 1963 was to serve on the State Board of Equalization, which reviews valuations for property tax assessments and approves property tax manuals and appraisal procedures. The State Auditor’s two main statutory duties were conducting post-audits of all state agencies in Colorado and reviewing the audits made of local governments. The assets of the state were safeguarded and used properly. The General Assembly received the findings and recommendations generated by the post-audits, but the post-audits were conducted by an executive branch official. By the 1960s, almost half of the states had adopted the position that the post-audit function should be housed in the legislative branch and conducted independent of the executive branch, because the legislative branch was considered to be the guardian of the public money. Based on their studies, the committee recommended that the General Assembly refer a constitutional amendment to the ballot to move the State Auditor and the functions of the State Auditor to the legislative branch “where the post-audit function properly belongs.” The recommended constitutional amendment created section 49 of article V of the Colorado Constitution, which authorizes the General Assembly to appoint a state auditor, without regard to political affiliation, who must be a certified public accountant. The State Auditor’s term would be five years, a person would be limited to serving no more than two consecutive terms, and the General Assembly would be able to remove the State Auditor from office for cause with the approval of 2/3 of the legislators in both houses. The committee also recommended that, regardless of whether the constitutional amendment was adopted, the General Assembly should create a joint legislative audit review committee to assist in carrying out the post-audit program in the state. In November of 1964, voters passed Senate Concurrent Resolution No. 3, adopting the committee’s recommended constitutional changes. During the 1965 regular legislative session, the General Assembly adopted House Bill No. 1051. The bill enacted section 2-3-101, C.R.S., which created the Legislative Audit Committee consisting of eight members: Four appointed from each chamber, with two each appointed by the President and minority leader of the Senate and the Speaker and minority leader of the House of Representatives. All of the appointments must be approved by a majority vote of the legislators elected to the chamber from which the committee members are appointed, but an appointing authority may temporarily replace one of his or her appointments with a different legislator without the approval of the chamber. 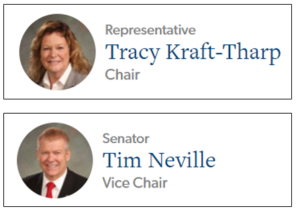 Legislative Audit Committee members are appointed every two years at the beginning of the first legislative session of each general assembly, and a legislator may be appointed to multiple terms on the committee so long as he or she remains in the General Assembly. The committee selects its chair and vice-chair from among the committee membership and sets its own rules of procedure. The committee may also appoint subcommittees to help it complete its duties, which may include legislators who are not members of the committee and other persons. After receiving a report involving retaliation against a state employee for disclosing information concerning waste of public funds or mismanagement of a state agency, directing the auditor to investigate and determine whether a fiscal audit, performance audit, or management study of the issue is necessary. Based on the investigation report, the committee will direct the State Auditor to immediately conduct a special audit or a management study or it may direct the State Auditor to wait until the regularly scheduled audit. 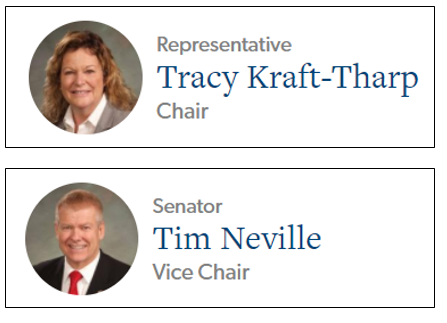 You can access the committee’s schedule and agenda, as well as recently released audits, through the Legislative Audit Committee page on the General Assembly website. The committee’s next meeting is scheduled for October 30. Section 49 of Article V of the Colorado constitution was amended in 1974 to allow a person to serve unlimited consecutive terms as State Auditor.